Posted 11 months ago by EannKim. 498 views. Band members wanted in Kuala Lumpur, Federal Territory of Kuala Lumpur, Malaysia. We are looking for a bassist and singer. We play songs like green day and hard rock. We are teenagers. We are looking at between 13 and 18. If possible. We dream to be big and famous. So we are taking it seriously. Contact me and discuss about this. 0122207068. Wanted: Bass Player, Drummer in Kuala Lumpur, Federal Territory of Kuala Lumpur, Malaysia. Posted 3 months ago by Syakir, 246 views. Available: Drummer, Guitarist - Acoustic, Guitarist - Lead, Vocalist - Backing, Vocalist - Choral in Kuala Lumpur, Federal Territory of Kuala Lumpur, Malaysia. Posted 6 months ago by William94, 363 views. 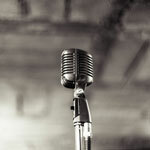 Available: Singer in Kuala Lumpur, Federal Territory of Kuala Lumpur, Malaysia. Posted 7 months ago by Uthss, 317 views. Wanted: Bass Player, Singer in Kuala Lumpur, Federal Territory of Kuala Lumpur, Malaysia. Posted 1 week ago by HydraHans, 68 views.